Bhandary Builders is committed to building affordable housing in desirable areas, ensuring that people in Mangalore have the opportunity to live their dream in a sought-after location with great amenity, great liveability and most importantly, at a price that is affordable. At Bhandary Builders, we believe the great Mangalorean dream of families owning their own home should never be beyond reach. Bhandary Builders follows stringent processes in order to deliver development projects from concept to completion. Our entire team works seamlessly to bring the best outcome. Founded in 1999, Bhandary Builders has grown to be one of the leading Mangalorean property group. 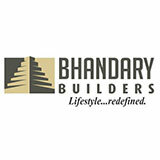 Bhandary Builders is a versatile property group wsith activities covering property development and constructions. With a strict and diverse operating structure, Bhandary Builders actively organises the entire development and investment process from concept to completion. The various operating divisions of Bhandary Builders work together to achieve the common goal of delivering carefully planned and designed property developments along with increased value and returns for the investors.